Polar Vortex 13 (I’ve lost count…) has settled into the Chicago area. In the middle of summer. I could very easily complain about the cold weather (like I literally just had to get up and close the windows so my hands wouldn’t be too cold to type) but it’s made for some PERFECT running weather! After my awful 10 miler on Saturday, I was a little anxious about my next couple runs. Well, I worried for no reason at all. They were wonderful! 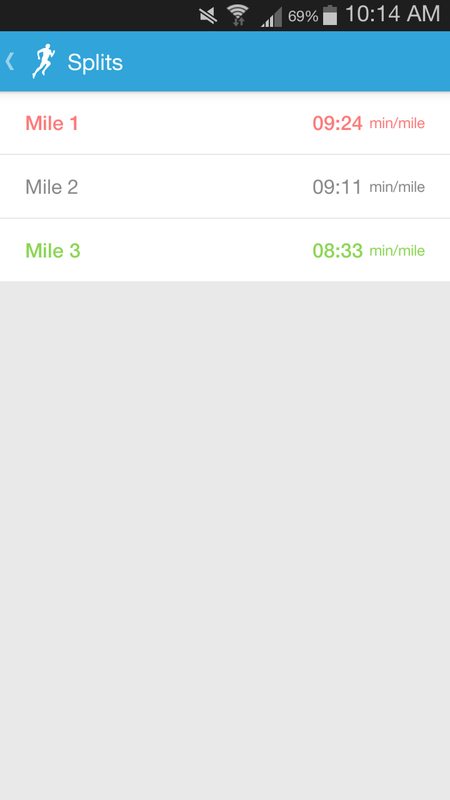 Yesterday, I had an easy 3 mile run on the training schedule. 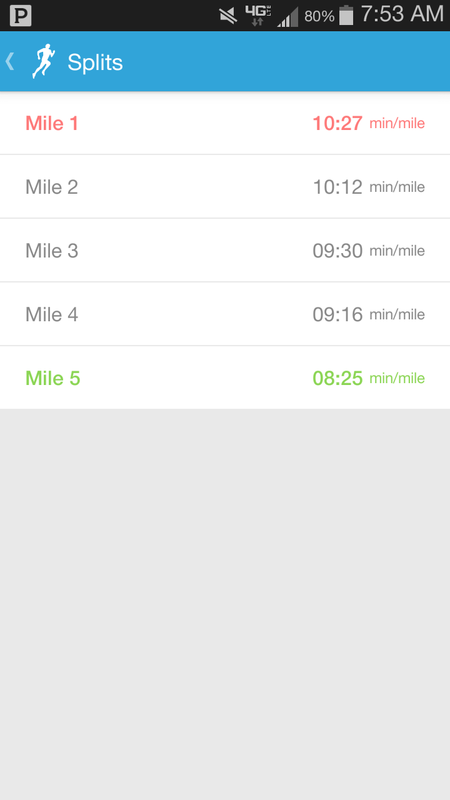 I started off faster than I meant to but I was able to not just keep my pace up, but get faster! And I lied about the weather a little. Today was perfect running weather, yesterday was 71 degrees and 91% humidity. Not ideal. but check out these splits! This morning, in 55 degrees and 65% humidity, I ran a 5 miler with (at least for me) even better times! An 8 minute, 25 second pace for an entire mile!? Yes! I promise, I’m not sharing these to brag, I just would’ve never thought I could accomplish something that “athletic”. I’m amazed that my body is capable of running a mile in less than 8 1/2 minutes after already running 4. 10 year old Megan would have been a very different person if she knew she could someday do that! Anyway, I’m not sure if it’s the weather, or if I’m finally getting back in shape, but I’m feeling strong. And I like it. I did go to yoga last night for the first time in a couple months. I know it helped loosen me up. More stretching will be in order in the future. It’s probably just the endorphins but I’m so excited that all the hard work is finally beginning to pay off! Any other runners taking advantage of this cool weather streak?